British travellers will now be able to bring back more than double the amount of duty-free gifts and souvenirs from countries outside the European Union. Following a proposal by then Chancellor Gordon Brown to Europe's governing body in 2004, holidaymakers will see their duty-free allowance increase from £145 to £300. But with travellers likely packing more gifts and souvenirs into their suitcases, it is even more important for them to ensure they are adequately covered for lost or stolen luggage by a holiday insurance policy. Travellers will be able to bring back more alcohol (up to 16 litres of beer and four litres of wine) and will also have an increased allowance for 'other goods' such as souvenirs, clothing, electricals and perfume. Financial secretary Stephen Timms said: "This new rate for all EU member states will be a welcome boost to holiday makers and all others travelling outside the EU." 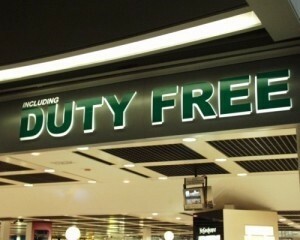 There will be a further increase to the tax and duty-free allowance to £340 in January. Last week, tour operator The Adventure Company claimed that the Galapagos Islands, in South America, will become a booming holiday hotspot in 2009.